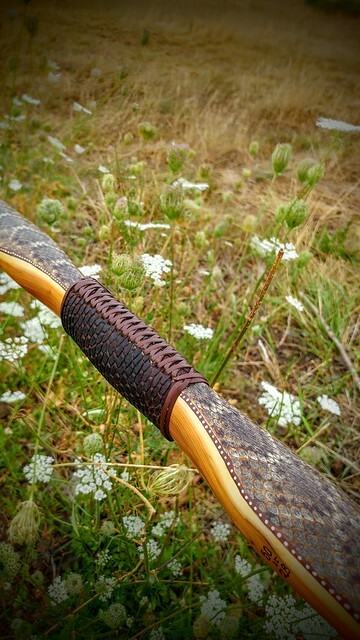 Hollow-Limbed Yew with Rattlesnake Skins 50#@28"
I've been working hard on this bow for a while now. 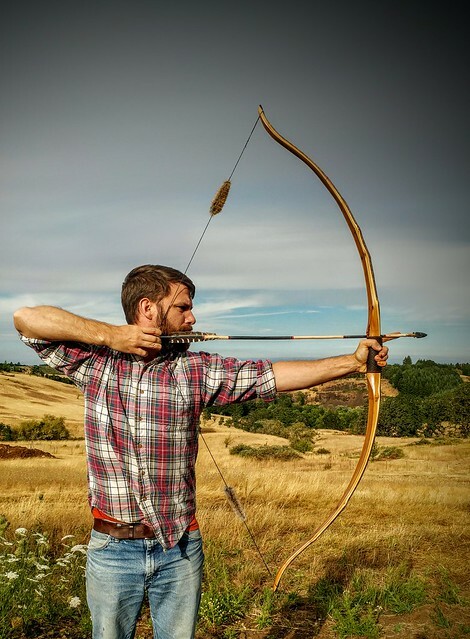 I finally got to just sit down and make a bow that I wanted to make and I enjoyed every minute of it. I had a small diameter deflexed yew stave so I used the high crown to create the hollow limb and the deflex to make a reflex deflex. 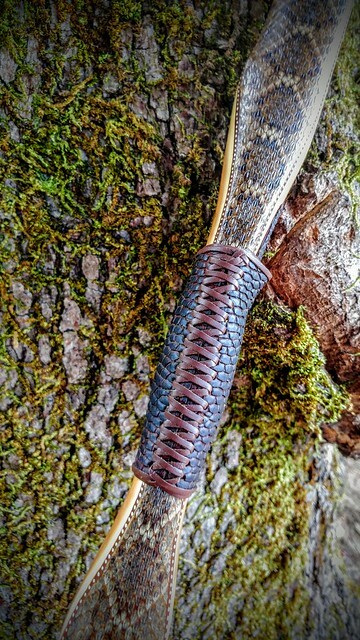 I brought it out to first brace before I started in on the hollow limb with my goose-neck. 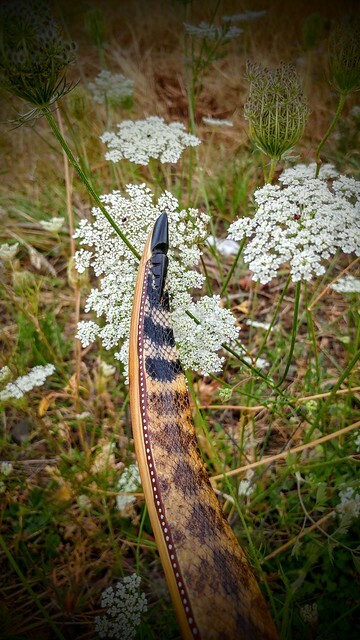 I had a really nice set of rattlesnake skins from Cipriano and figured this was the perfect bow to put them on. Bryce had given me a tanned beaver tail that he did, which was really flawless and amazing. 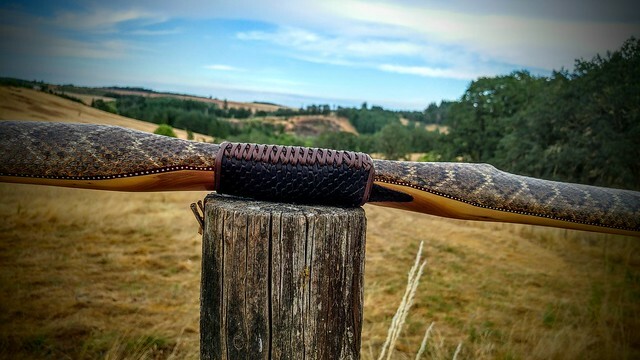 I need to figure out that process because it was soo much nice to work with than a raw tail. I stained the tail dark (it was quite light from the tanning process.) Some of the lightness came through in the recessed areas to create a cool effect in the handle wrap in you look close. 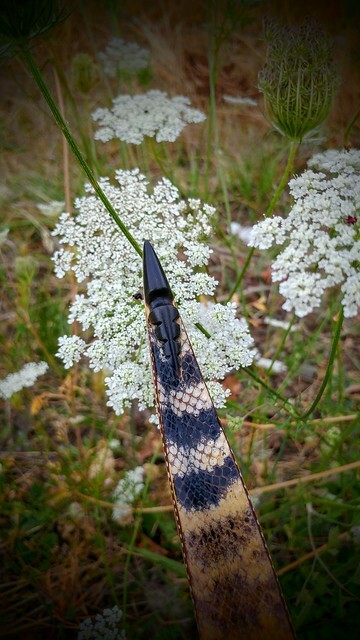 The tips are buffalo horn with a little carving in the edge of them to go with the rattlesnake skin. I did some painting along the edge of the skins with acrylic. This bow came together nicely. It shoots very quickly and quietly. I really enjoy the hollow limb design. I will definitely do more of them in the future. 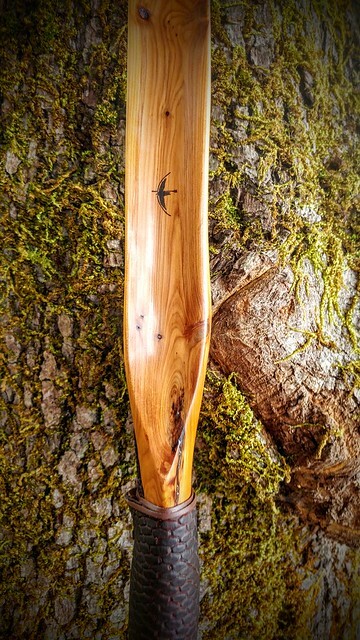 Re: Hollow-Limbed Yew with Rattlesnake Skins 50#@28"
that is an extraordinary piece. 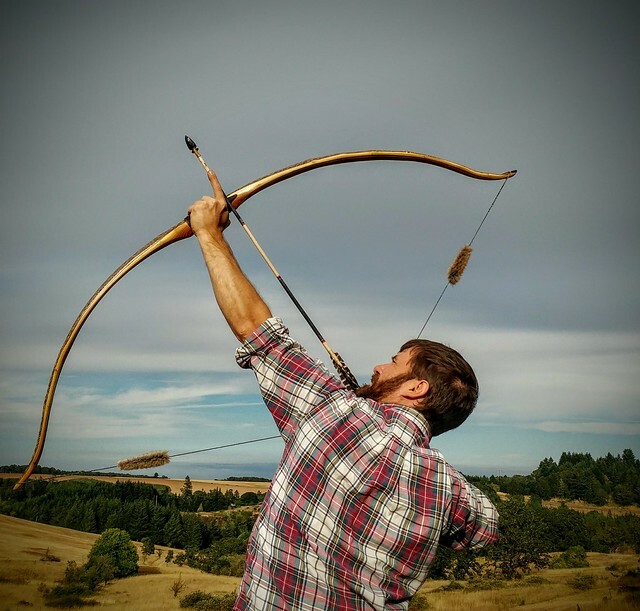 I really like that you are working with the hld, can you feel a flattening out when drawing the bow? Your work looks flawless in every aspect, I would really like to shoot it. 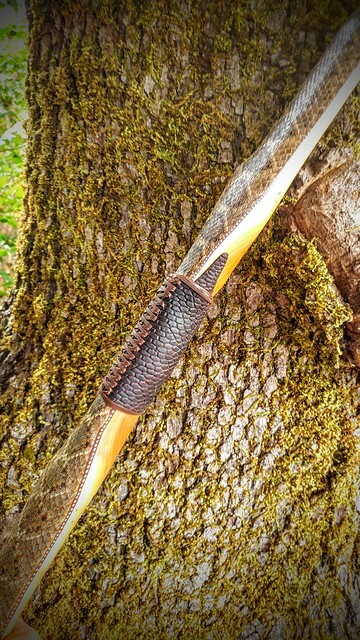 Gorgeous display of the attention to detail in construction/decorations and the blending of textures.Some very nice bows being posted lately.I like to keep vegetable tanned beaver tail on hand myself to put on bows. X2! 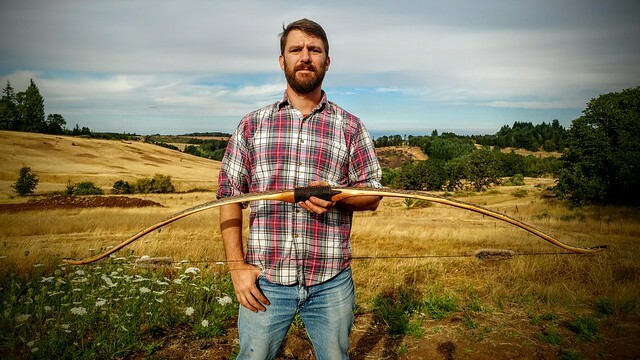 That is one beautiful bow. Excellent work Weylin. 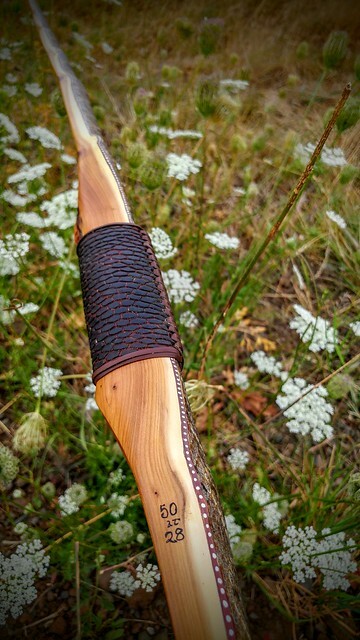 your bows are always a pleasure to see, but this may be a favorite of mine... it is a most excellent job. 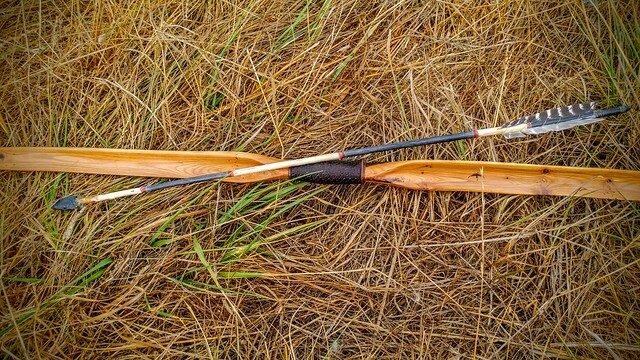 Better suited for bow of the YEAR! 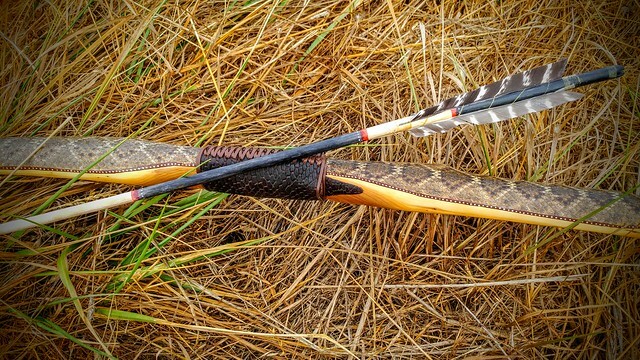 I love seing your work I always expect something beautifully done wether its a simple bow or one like this. Wow! I've been wanting to use that emoj for a while now. Thanks for giving me a reason. That's a beautiful work of art. Amazing detail work on that bow Weylin. A true work of art my friend. 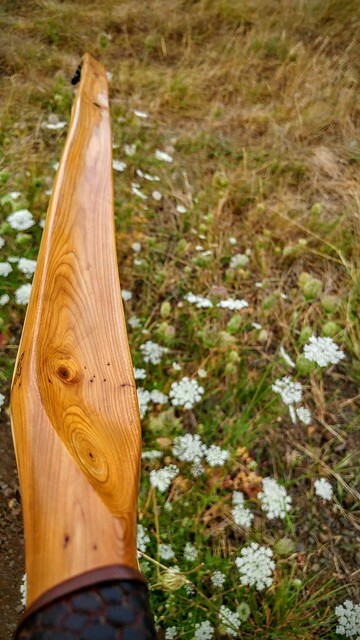 Love the color of that yew and all aspects of the bow. 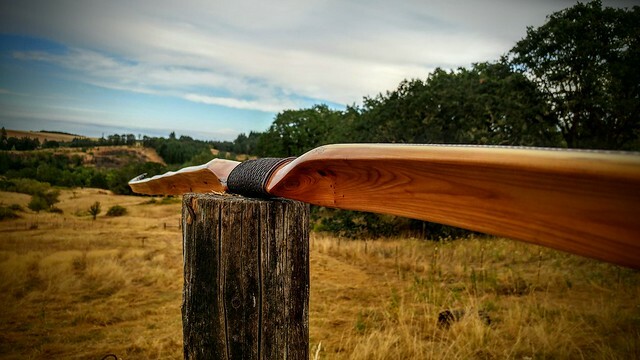 A beautiful bow in all aspects Weylin! Very well executed man! Page created in 1.488 seconds with 26 queries.